Despite the second film in the franchise bearing the subtitle of “Evolution”, the Underworld franchise has been stuck in a creative rut since its inception. The fifth movie (surprisingly) is once again centered on a centuries old conflict between vampires and werewolves with Selene (Kate Beckinsale) somehow caught in the middle. 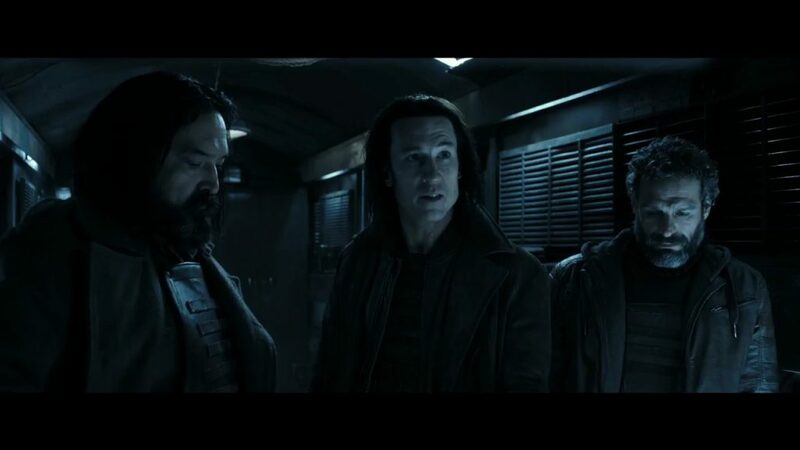 As was the case in the rest of the series, Underworld: Blood Wars takes itself far too seriously, which reduces much of the absurdity to 90 minutes of sheer boredom. It lacks the self-awareness and fun tone of Blade and the occasional moments of unintentional hilarity of The Twilight Saga. With so many character motivations and difficult to follow subplots, it’s not too much of a stretch to call it Game of Thrones without the intellect or bite. After Selene is betrayed and framed by Semira and Marius, she becomes a fugitive hunted by both the Lycan and Vampire clans. Marius, who is the new leader of the Lycans, seeks the blood of Selene’s daughter Eve to finally create the perfect Lycan-Vampire hybrid. This combination has been at the center of every single film in this series. Joined by new ally David (Theo James), Selene is on a mission to take down the Lycans, find her daughter, and finally bring an end to this centuries old blood feud. Despite some new faces, the plot is relatively identical to each of the previous movies. It’s incredibly unengaging as a result and is plagued by too much exposition delivered by sleepwalking actors. For a film with a relatively simplistic story, it’s incredibly difficult to follow even as someone who has seen every movie. Part of the issue lies in the extremely (as mentioned above) exposition heavy screenplay. Too much information is dumped at such a rapid fire pace that pieces get lost in the shuffle. Since none of these characters are fleshed out, the movie relies on twists in place of real depth. The pacing is about as erratic as the exposition, which makes the third act come across as both rushed and anti-climactic. For a film that is seemingly the penultimate entry in the saga, it will likely be a letdown for die-hard fans. In B-action films, minimalist stories can be forgiven if the action sequences are invigorating or innovative. The technical aspects of Underworld: Blood Wars range from sub-par or poor. From an action perspective, the scenes are incredibly disorientating thanks to the erratic editing. Much like the first entry in Michael Bay’s Transformers franchise or Batman Begins, it’s difficult to deduce who is hitting who. With an R-rating as their disposal, the filmmakers definitely weren’t restricted by standards of violence but it’s shot like a PG-13 movie that still wants to be edgy. A great action scene should tell a story in it of itself. Here, the banal choreography and poor lighting prevent each action scene from gaining any sense of rhythm or fun. Aside from less green tint, they’re indistinguishable from the other films. Yet despite all that has already been mentioned as detriments, the greatest problem that has kept this series from reaching its potential is the lack of world building beyond the basics. Both the Lycan and Vampire/Death Dealer factions are taken from their respective mythological monsters at face value. Nothing is done to explore these deities as seducers or metaphors for sexuality. The closest Blood Wars comes to expanding the mythology is introducing a new Coven involving David but that’s hardly enough. While the series hasn’t been known for its magnanimous performances, everyone barring Beckinsale is flat and uninteresting. Beckinsale is once again the driving force of the film and her presence is affluent. The sole bright spots of the action setpieces involve Selene taking care of business. Theo James, much like in the Divergent series, is a blank slate. His character has an interesting arc but the script and his performance hinder any potential or worthwhile conclusion. The villains are stock vampire/werewolf archetypes and aren’t given enough to differentiate themselves from previous antagonists. We’re told that Marius has taken control of his faction but nothing about him screams “leader” or “power.” Their lack of presence shrinks any feelings of threat or personal stakes. Unless you are an Underworld enthusiast, Blood Wars will do little to sway you into liking this franchise. It’s more of the same redundant storylines and set pieces under the guise of a new title and finality. A film running just shy of 90 minutes shouldn’t ever feel like a chore to get through. Too soulless to recommend and too serious to have a good time with, Blood Wars is yet another uninspired installment in a flat saga. Next ArticleAlbum Review: You Me at Six - "Night People"